WELKome aboard Tom. Share some of your experience with us. Well, glad to see so many new and some old friends!!!!! 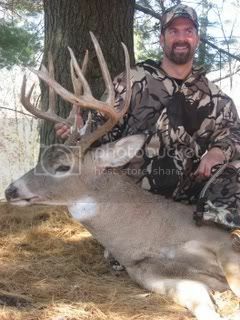 Why don't some of you post a photo or 2 of your best deer taken with bow!! We'd love to see them! Remember that IMHO ANY deer killed legally with archery equipment is a TROPHY!!!! so let's see what you have to share!! Don't be shy...jump in!! Southwest Johnson County, Kansas; 30 miles SW of Kansas City, Mo.